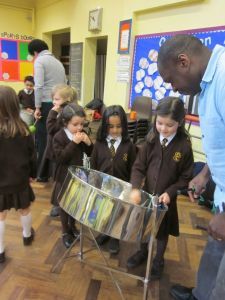 Our workshops give the children an opportunity to have a go on playing the pans. 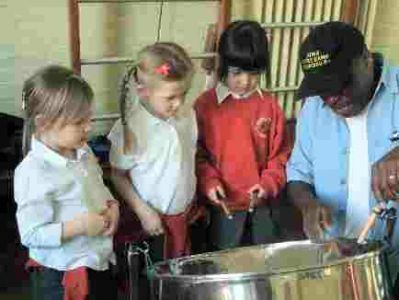 The children learn about the history of steel pans, its origins and how the pans are made and played. 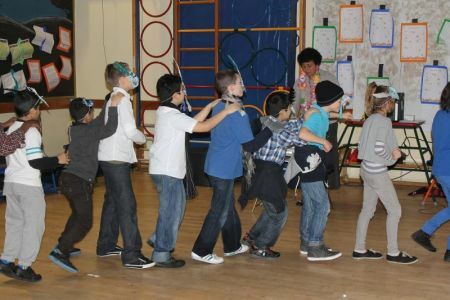 We entertain the children and staff with a performance, play music for dancing and singing, and children can ask music questions depending on ages and ability. 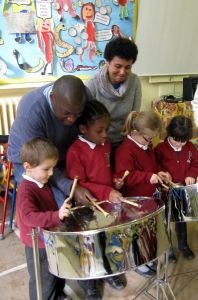 The workshops are either a half day or a full day, we cater for all types of schools and we are DBS checked. Our workshops are uplifting and entertaining.